A prayer box is a place to keep your thoughts, intents, prayers, your hopes and wishes. Place them in the box and then let go of the stress and worrying. The fertility prayer box opens up so you can place your intents and wishes inside. When you close the lid on the prayer box, it is symbolic that it is in God's hands upon closing. All faith's use prayer boxes to concentrate the mind on one's thoughts. All artwork and jewelry designs are Copyright © 2011 The Fertile Garden. "Thank you for this. It reminds me every day to be thankful. I am finally pregnant after a very long road. I appreciate the inspiration from this." "Hi! Just wanted to let you know that my daughter is pregnant!! After 1 year, and spending over $10,000 with an Infertility Doctor, she went the holistic route. Gluten-free organic diet, acupuncture, massage therapy and YOUR jewelry!! Got pregnant is 3 months!! THANK YOU!!!" "This is my second purchase from you. 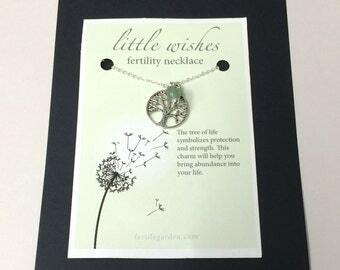 I bought a fertility necklace from you for myself last year. I am now pregnant with my first and due in July!! I am buying this bracelet for my cousin, who has been trying to conceive for about a year and half." "I just wanted to let you know that 11 months ago I bought a necklace and bracelet from you and now I'm expecting our little girl in 3 weeks! I still wear the bird necklace everyday. Thank you!" "I wanted to tell you I ordered one of your necklaces for my sister who has been trying to have a baby for 3.5 years and 3 failed inseminations. She is due with her first baby on Sunday and has been wearing your necklace ever since I gave it to her. So THANK YOU so much!" "First one worked, I am a mom to a 1 year boy. Hoping to expand my family." Gift wrapped in a box with ribbon and berry detail. Beautiful, just like the picture. Hoping it does the trick for us! Love it and it’s beautiful! You may pay with a PayPal account or charge with a credit card (Visa, MasterCard, Discover and American Express accepted). Once a purchase is made through Etsy, payment is required within 3 days. If you have any questions regarding payment of merchandise or have any issues with PayPal, please contact me and I will be happy to work with you! I want you to be pleased with your purchase! Please do not hesitate to contact me for any reason. Gemstones are thought to have healing properties that are meant for possible improvement of physical health and positive thinking. These items are not intended to replace a doctor's care. There are no results guaranteed from The Fertile Garden. There is no medical evidence to support these beliefs. Shipping is offered domestic and internationally using usps. Domestic shipping price also includes Delivery Confirmation. International customers pay all customs fees/taxes. INTERNATIONAL BUYERS: Please be aware that you will be responsible for any taxes, customs fees, or other amounts levied by your home country. Please check with your Customs office and/or Postal Service if you are concerned about possible tariffs. THIS IS ESPECIALLY IMPORTANT FOR UK BUYERS! The Royal Mail is reportedly being much more vigilant in collecting VAT on purchases made through the mail. You should be prepared for the possibility of paying VAT plus a Royal Mail fee upon receipt. This fee is the responsibility of the customer, not The Fertile Garden. Please be aware that items can be held up in customs as well, The Fertile Garden has no control over this. All orders ship via usps First Class mail, and all US orders include a delivery confirmation, you will be emailed the delivery confirmation number directly from Etsy from when shipped. Please be advised that if your package is going to Great Britain, UK, Ireland, etc., that there may be a duty charge on your package. This is the responsibility of the purchaser! I will accept returns for credit with prior approval within 30 days of purchase. Insurance is not included in shipping rates. It is the only way you will be covered in cases of postal loss/damage. If you'd like to purchase insurance please contact me for a quote before placing an order. Items must be returned to The Fertile Garden, and include all packaging to receive refund. Each item is custom made for you, this means every order takes roughly 1-7 days to design, wrap and ship to you. You will receive a delivery tracking number when your package is shipped (within the USA). Sometimes USPS shows the initial scan and the date of delivery... so be aware that tracking during transit may not available. If you live outside the US and you refuse your package, or if you enter an incorrect address, or an incomplete address, your shipping costs will not be refunded. If you are not happy with the item you ordered, you can return your unworn item, including all packaging materials. Once it is received, you will receive a full product refund. Shipping costs will not be refunded. 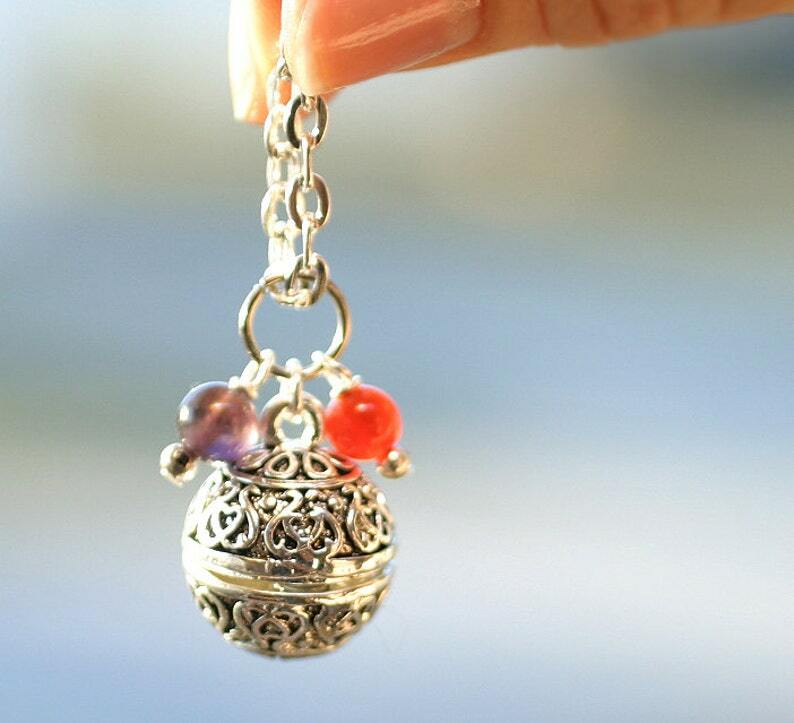 The Fertile Garden jewelry is meant to increase positive thinking and help physical issues. The items are not meant to take the place of a doctors care. All metal findings are sterling plated, unless otherwise stated as sterling silver.